Do you think that you don’t need a unified enterprise security system, because you already have cyber theft insurance? Think again. For one, insurance doesn’t cover the most expensive breaches. Last year, the average cyber security incident resulted in a financial loss of $2.7 million; that’s nearly 35 percent higher than it was in the previous year, according to PricewaterhouseCoopers. Major cyber breaches cost far more — significantly more, in fact, than many insurers are willing to reimburse. Additionally, many aspects of cyber losses are not covered by insurance policies. Commonly, these include losses to intellectual property, customer data, and even the organization’s reputation. Also, lawsuits involving cyber insurers are increasingly common, and they can be costly. For example, when Cottage Health System discovered that one of its servers’ security had been disabled, the healthcare provider was sued by its own insurer for allegedly failing to follow practices required in its policy. So cyber insurance alone isn’t sufficient. What’s also needed is the combination of a comprehensive risk strategy with an advanced security solution. According to the Corporate Treasurers Council, a good cyber risk strategy does at least three things: It identifies the data that’s at risk; puts a dollar value on this data; and then manages the risk appropriately. Sadly, few companies have a good risk strategy in place. Research by McKinsey & Co. finds that only 5 percent of companies have a mature or robust cyber risk security strategy. McKinsey defines a strategy as “mature” when it includes both a qualitative and quantitative approach to evaluating and mitigating cyber risks, and a governance model that clearly identifies the individual accountable for each asset. As for advanced security solutions, they help organizations on several fronts. The right solution can help you stay secure, overcome the shortage of skilled IT-security professionals, and cope with growing demands for regulatory compliance. And because these solutions are based in the cloud, they also help you lower capital expenses, increase flexibility and scalability, and implement updates and patches easier and faster. With the benefits so compelling, it’s no surprise that the market for integrated solutions is big and growing fast. Worldwide sales of managed security services totaled $15.8 billion last year, a 10 percent jump from 2013, according to Infonetics. About half of that was spent on cloud solutions. Masergy’s Managed Security provides cloud-based security by combining the best of man and machine. 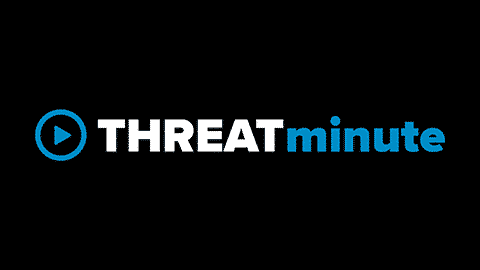 Our managed security solution uses patented behavioral analysis to recognize abnormal network behavior, as well as big data analytics to correlate all threat information across your enterprise. We then fortify that with continuous human monitoring to “tune” your system, making it continually smarter and reducing the number of false alarms. By detecting abnormalities in your network, Masergy can predict, detect and defend against threats before they cause you harm. And because Masergy’s Unified Enterprise Security solution spans all network environments, it can be fully integrated with your existing security technologies. That gives you comprehensive, plug-and-play security from the perimeter to the cloud — the ultimate in cyber insurance! Learn more about Masergy’s Managed Security.